When it comes to engagement rings, solitaire settings are unrivaled for their classic beauty and timeless appeal. Ada’s elegant solitaires come in a variety of styles to be customized to your unique style (and lifestyle! 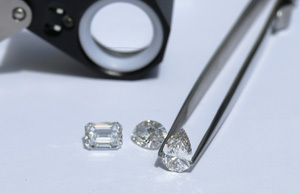 ), and to accommodate lab grown diamonds large and small. Your Diamond Concierge is here to help you design the perfect setting to bring out the brilliance of your diamond. 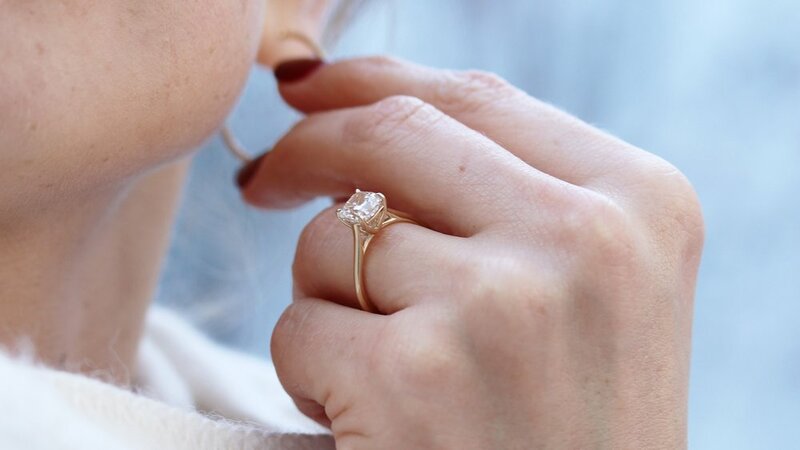 Looking for inspiration on how to rock your solitaire? See below for six of our favorite styles. A classic four prong solitaire style without a support bar is an absolutely timeless style, and a great fit for setting your diamond low. 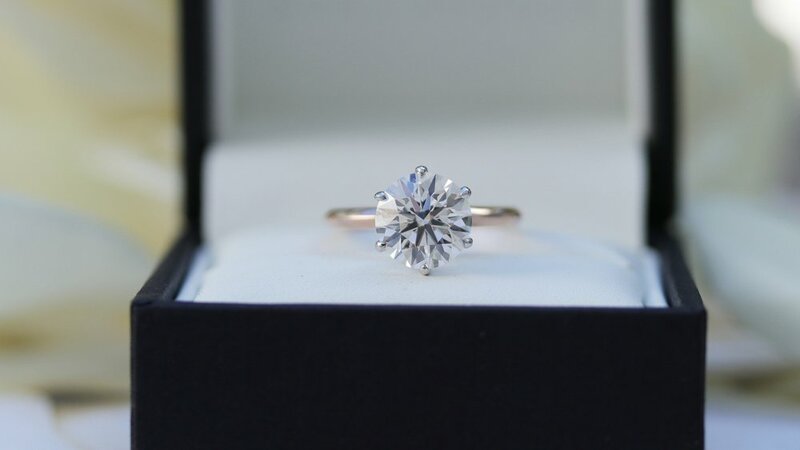 The Classic Four Prong is our most popular setting style for very large center stones! See additional design details, watch the video of this custom piece, or Drop a Hint! Our timeless Six Prong Solitaire Setting features six individual prongs to allow for maximum security. The unique look of six prongs is a great way to add something "extra" to a round brilliant. A Petite Four Prong Solitaire features thinner individual prongs and a support bar running around the diamond. This style allows for a wedding band to sit flush. 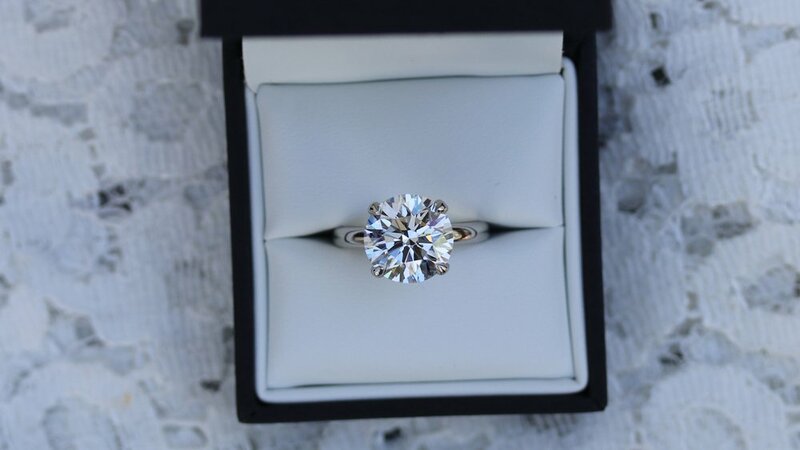 This setting style is also a great fit for making a modest sized center stone look bigger and letting a lot of light into your diamond for maximum sparkle and brilliance. Shown here: platinum solitaire engagement ring, featuring a 1.5 carat round lab created diamond center stone, ring size: 6.75. See additional design details, watch the video of this custom piece , or Drop a Hint! 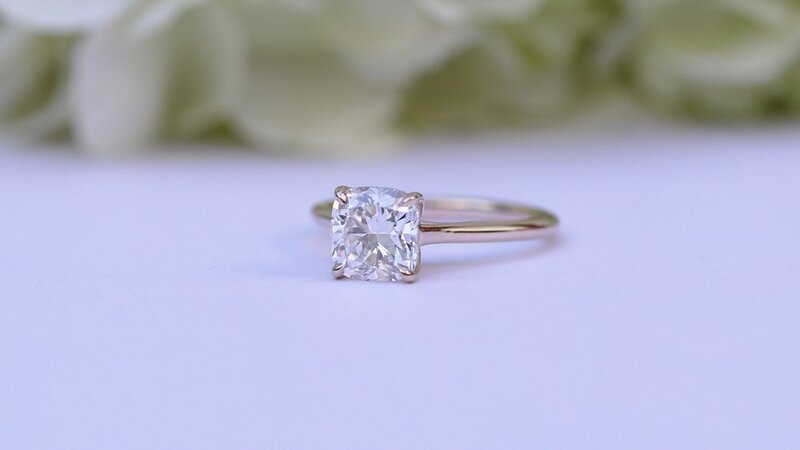 A trellis, or Petite Trellis Solitaire style is a great way to set a your diamond low while still letting in light. This style features cathedral support on either side of the center stone making it a very structurally sound style, great for active lifestyles. 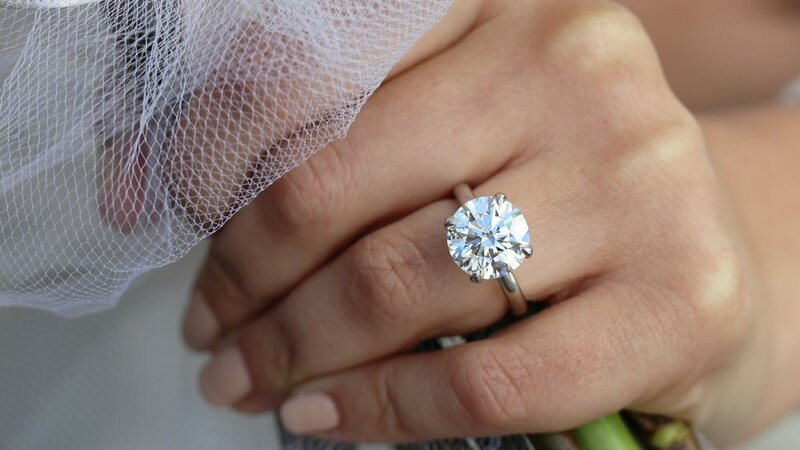 Our Cathedral Solitaire is a perfect setting style for a fancy shaped diamond. A Cathedral Solitaire style lets in tons of light while still being very secure. This style is a great way to make a diamond with a lower color grade appear higher in color. A chic and sophisticated solitaire style, a Bezel Solitaire setting is a beautiful way to make a modest sized center stone look larger.